Anyone looking for an excellent resource on low-residency programs should read The Low-Residency MFA Handbook by Lori A. May. May presents an incredibly thorough overview of low-residency programs. Using in-depth research and interviews with faculty, students, and alumni, she examines various issues, including the application process, funding, residency experiences and "life after the MFA." Chapter two jumps into the most important question: Is the Low-Residency Model Right for Me? May offers several topics for self-examination, including self-discipline, time, pedagogical training, the workshop approach, and many others. As with every chapter, May includes quotes from the interviews she conducted that shed light on that particular question. For example, Jason Jack Miller, an alumnus from Seton Hill University, says this regarding artistic preparedness for low-residency programs: "A low-residency program isn't a place to decide whether or not you want to write. This type of program is for people fully committed to making the leap into writing as a lifestyle." Specific program details are given in the core of the book, in chapter six. May lists each institution and their focus areas of study (Fiction, non-fiction, poetry, screenplay, young adult, etc). She also includes each person interviewed for that institution and their role, such as program director, faculty, student, and alumnus. By including interviews along with the program facts, she breaks down information for teaching philosophy, residencies, and format/study. These criteria will help you decide which program might be the best fit. Perhaps the richest part of the book are the extended interviews, listed in Appendix A. May includes in-depth questions and answers, such as "What was your experience with non-residency semesters?" and "What can you tell us about working with your faculty mentors?" As low-residency MFA programs proliferate, Lori A. 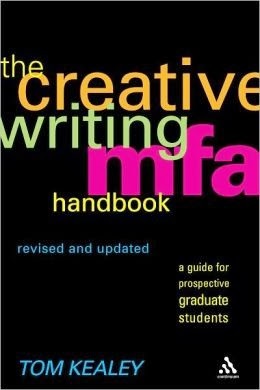 May's Low-Residency MFA Handbook is a rare and valuable resource. The Low-Residency MFA Handbook was published by Continuum Books. Read more about Lori through her blog and her website. There's a brand new low residency program (which is therefore not in Lori May's handbook) at Arcadia University, which is just outside Philadelphia. It has tracks in fiction and poetry, a focus on personal attention from the faculty, and a study abroad element between the first and second years. Students looking for another low-res option should check this out as there's still time to apply. low-res programs sound great but what is the funding like? I can't afford tuition - does anybody know if there are programs that offer tuition remission? Some low-res programs do offer scholarships, fellowships and assistantships ( about a half dozen are detailed in the book). They are limited and certainly not as numerous as with traditional programs. Details vary program to program. I recently purchased this book and have been thumbing through it - it seems like a great resource. University of British Columbia's program caught my eye but I wanted a LOT more information. Does anyone know this school's MFA reputation? How does it compare to schools within the US? I'm planning to be a high school English teacher and will need to stick with the low-residency option, but I want to make the right choice! so...not even sure if people are still checking this, but quick question (maybe): Does accepting and then withdrawing your acceptance to go to another school ever happen? It seems like a disrespectful thing to do, but I wonder if it ever happens. I won't name schools, but I was accepted with funding to School A and accepted their offer. Then, before I declined School B's unfunded spot, they called and said they would be able to give me funding. I'm 90% sure I won't be withdrawing at all, but yeah, just curious if it ever happens. Thanks heaps for the link you posted to the low res program. In response to Dr. Collins, while a few programs offer funding, don't let lack of funding stand in your way. First, select the program that best fits you. 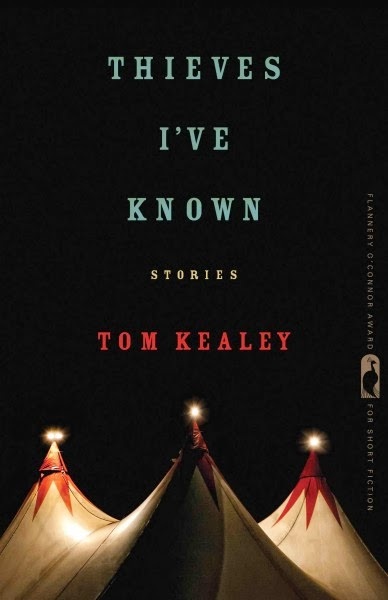 I did a couple of years of research (including reading May's and Kealey's excellent books), before selecting my MFA program at Converse College. Yes, Converse had the lowest tuition of any I found, but cost wasn't a deciding factor for me. It had everything to do with the environment: award-winning faculty, bestselling visiting authors and NY publishers, direct mentoring, spending face-to-face time with professors both in professional and social settings, etc). First, choose your program/s based on things other than cost. Then fill out a FAFSA and see what kind of funding you can get. You may be surprised at what you'll find. Then look into program costs, being sure to factor in housing, travel, food, etc. Now consider your investment. Yes, it's an investment--not in the stock market, but in yourself. A friend told me to consider it as buying one less car in my lifetime, since the cost of a new car is comparable to that of an MFA program. Your car won't last you nearly as long as your education. Your writing phrase and content writing ideas great. New student should must read his reviews before making a statement thanks for share it write a prose paraphrase of the poem.